For a few months every year, I put apples in everything. Everything! 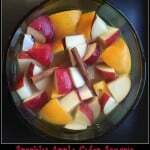 Including cocktails – like this Sparkly Apple Cider Sangria. Just a short drive from us here in Charlotte are endless apple orchards. 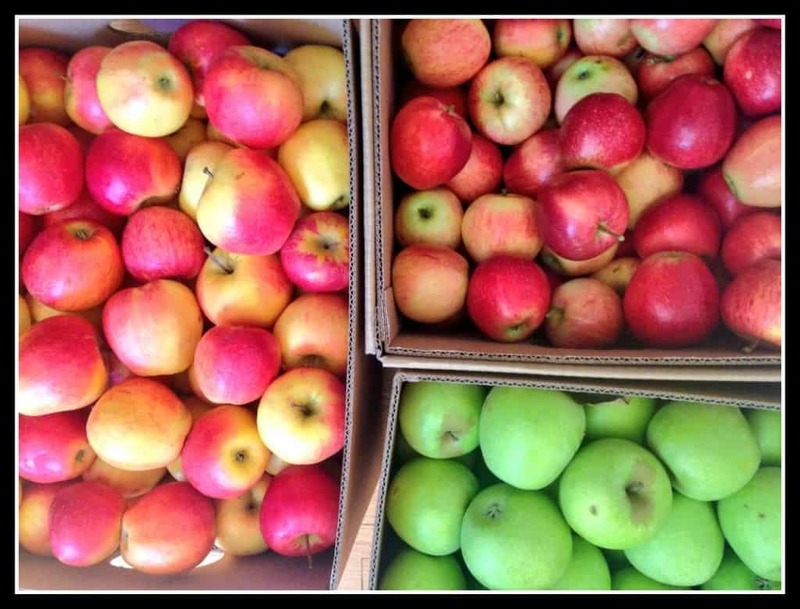 Once you eat local apples, you might never be able to eat apples from a grocery store again. Our local apples store really well in a cool, dark place so I get as many as I can get my hands on until the orchards run out. Thankfully, I am still flush with NC apples, so kids are getting them in their lunch boxes and after school, most desserts involve apples and, of course, why not include apples in our party cocktails? This super simple sparkly apple cider sangria takes just a few ingredients – white wine plus apples and apple cider are the dominant flavors but chopped oranges, cinnamon sticks, vodka, and bourbon round out this delicious party drink. You want to make this! To make it sparkly, add fizzy seltzer water or club soda before you serve it. This sparkly apple cider is a great addition to any party! Combine everything except club soda in a large pitcher or punch bowl and set aside to chill for at least an hour to two. The longer the better! Add club soda right before serving. Serve over ice. Enjoy! Edited: Oops! Margaritas on the brain! I accidentally wrote tequila instead of vodka! I used Tito’s Vodka. Delicious. I LOVE the sound of this sangria! I’ve never made one with tequila, definitely going to remember that one – cheers! What a unique twist on sangria! I have a feeling I’ll need a big glass of this by Friday. This looks amazing! It’s like a fresh summer sangria meets a warm fall flavour! Love the combo! This sounds fabulous! I love homemade sangria! Thanks, Marye! I don’t know why I was so focused on sangria in the summer! This is such a nice winter party drink. I love your combination of flavors your sangria sounds fantastic! And I sooo agree with you, not much better than fresh apples! I love adding the bourbon in! Thanks, Kathy! My husband has been on a bourbon kick. 😉 I prefer it mixed in – not quite up to drinking it straight!! Yes! Why not? I think you will love it! I love apples and apple cider flavors in just about anything. Sangria never crossed my mind! This sound really refreshing! Thanks, Kirsten! It really is refreshing! Your Sangria looks and sounds amazing. This will go down a treat in these hot summer months – 37 degrees celsius where I am today! Thanks, Bree! I think you have better sangria weather than I have!